Way back in 1809 a large earthquake hit Cape Town. 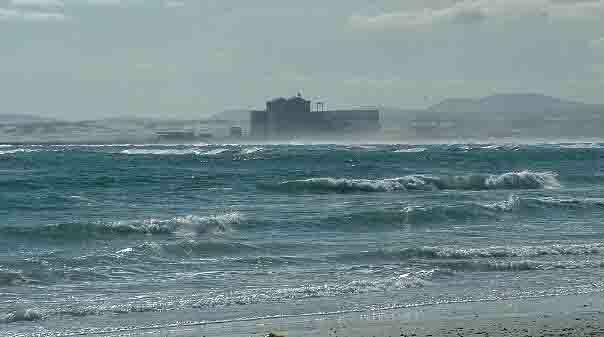 The reason for the quake is thought to have been the Milnerton Fault which runs along the Table Bay coastline. 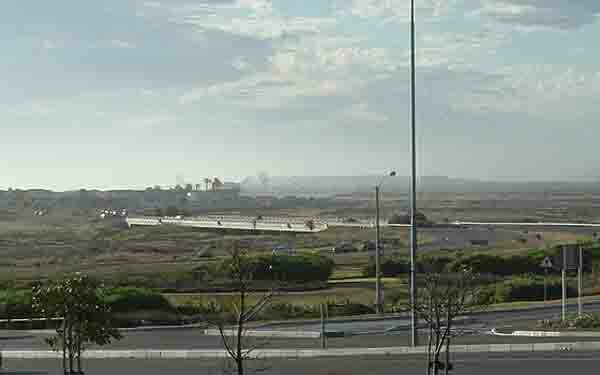 The fault runs in a south-easterly direction from about eight kilometres offshore of the Koeberg Nuclear Power station , beneath the Milnerton area and across the Cape Flats and forms the centre of the earthquake belt in Cape Town. On the the 4th of December 1809 the area of greatest structural damage was at the site of the old Ascot racecourse on the outskirts of Milnerton. The farmhouse that stood on the site was almost completely destroyed. When Von Buchenroder a naturalist visited the area 5 days after the quake in 1809 he found rents and fissures in the ground, one of which was more than a mile long. Chatting to the locals he received reports that some of the fissures had opened up to about 4 inches in width and were in excess of about 10 feet deep. It has been calculated by experts that the 1809 earthquake must have registered about 6.5 on the Richter scale. That is a large quake and if it occurred today could cause much damage. Over time people forget about earthquakes and build housing in areas that the old timers knew to be dangerous and avoided. One such place is the farm Jan Biesjes Kraal, which was the epicentre of the 1809 earthquake. The farm became the Ascot Racecourse and today is the site of a new business park and housing estate. 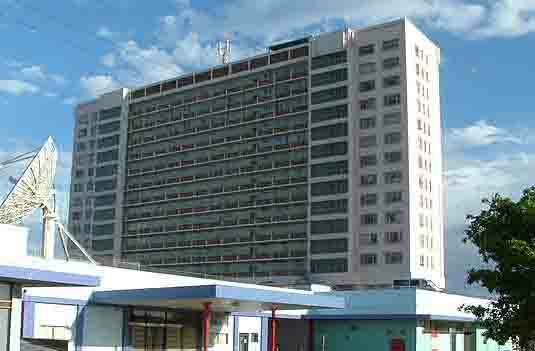 Approximately 800 metres away is the Rietvlei Centre which is a tower block of flats and offices about 15 storeys high. It is so close to the epicentre of the 1809 quake that it is possible that it could straddle the fault. I am not sure of the building requirements when the flats were erected but it is a possibility that they could be very badly effected should another large quake hit the area. What is really amazing however is that the authorities saw fit to build a nuclear power station just eight kilometres from a known fault. At the time nothing was mentioned to the public about the fault. Even more amazing is the fact that there is serious talk of erecting another reactor on the Koeberg site. We have been assured by authorities that the present reactor is earthquake proof and is built to withstand large quakes. The only other building in Cape Town which is said to be earthquake proof is situated on the foreshore in Cape Town. Over the last few years a number of multi-storeyed hotels have also been built there and according to building codes should withstand a large quake if they were built to the laid down quake standards. Before and since 1809 a number of earthquakes have hit the Cape with varying degrees of damage. On 29th September 1969 an earthquake hit theTulbach /Ceres area. I remember it well as I was in the middle of an ice skating rink when the building shook and all the lights went out. The quake followed an enormous rumbling noise which was really scary. Apart from the 1969 event, significant earthquakes have occurred in earlier centuries closer to Cape Town. Three are recorded and they occurred in April 1620, September 1695 and June 1811. Recently on the 19th May 2004 another smaller quake was felt which was almost certainly caused by renewed movement on the fault. The scariest of all is the report in this weekend's newspapers where it is stated that the Milnerton Fault is once again showing signs of becoming active. Should another large quake hit Cape Town it could cause large scale damage and possible loss of life. The Cape Flats which are on the fault line, today house many thousands of people where before there was bush. The population in Cape Town is increasing by about 40000 people per month and most of them are crowding onto the Cape Flats and housing estates near Milnerton and Table View. Surely authorities should start taking heed of some of the warnings and start limiting the influx of people into Cape Town to avoid large scale deaths in the event of an earthquake. In my experience however this will only be done after the horse has bolted.